We know that referrals are a vital part of building business relationships and that great leads can come from anyone at any time. Why not explore this and reward those who sent us successful leads and successfully referred to JIDOKA as a reliable partner. Know someone in your network who’s looking for a reliable partner for their IT projects? If so, we would love to hear from you and when the outcome is successful we will reward you for your faith in JIDOKA and for the recommendation of our company. Our service offering includes software projects, staffing and even training or coaching. So leads that match this offering are most valuable. If you can bring us in contact with a decision maker or influencer within a company that has opportunities that match this offering, you will qualify for a referral reward. 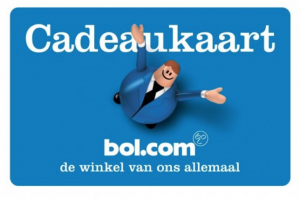 Once we sign an agreement with your lead you will be rewarded with a €250 voucher of Bol.com. But it’s not just about money. With our values, our service ethics and our expertise, we will ensure your lead enjoys a good experience – and, we very much hope, an excellent outcome. The bottom line is, you can make your recommendation with confidence towards your referee and at the same time receive a small thank you from us. Send an email to info@jidoka.be with the company context, the name of your referee, his/her email address and their role in the company. We will keep you updated during the entire process and confirm your voucher as soon as an agreement with JIDOKA is signed and the project successfully starts. This campaign is open for all individuals that have referred a lead with name, email address and company context to info@jidoka.be, in the context of an IT project, with consent of the referee to proceed with the actual referral. This campaign is only open for all legal inhabitants of Belgium and only leads located in Belgium. One person can refer multiple leads and receive multiple vouchers if they are placed according to the terms described. Where more than one person introduces the same lead, we will operate a first come first served policy. The referral is only applicable in projects with a revenue of at least 10K. In the event of any disputed rewards, JIDOKA’s decision will be final.